Born on Haida Gwaii, Simo is pursuing his dream of sharing his love of the ocean and the islands. He has spent the majority of his life on the water; as a child aboard his family's live-aboard and later as a commercial fisherman in a variety of fisheries. Simon met and married the love of his life, Emily. From the beginning they shared a mutual passion for the ocean. For twelve years they've lived in Victoria and have enjoyed some of Vancouver Island's spectacular boating and fishing, including yearly trips up and down the west coast in their 24' Grady White. They've always dreamed of returning north to spend more time on the water. When the opportunity arose to purchase Archipelago Ventures they saw a perfect match and leapt at it. Simon and Emily are looking forward to sharing their passion and enthusiasm. 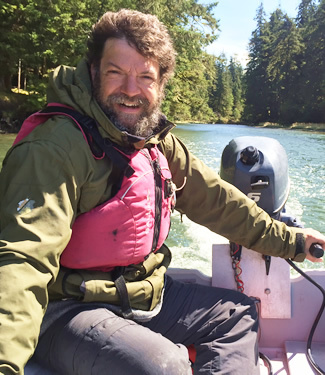 His qualifications among many, include: Master Limited 60 Ton certification, Small Vessel Machinery Operators certification, Marine Emergency Duties Level 2, Small Vessel Operator Proficiency, Wilderness First Aid and certified Gwaii Haanas Tour Guide . 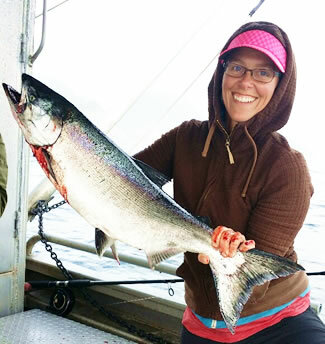 Emily earned her sea legs at an early age commercial fishing with her father on the north and central coast of British Columbia. She was raised playing on the beach, under boat sheds and in creeks in a little village across the harbour from Prince Rupert, however, her experience stretches beyond the familiar waters of the Pacific. After completing a certificate in recreational leadership at Camosun College Emily's sense of adventure led her backpacking for 5 years. Eventually she returned home to Dodge Cove where she met Simon. Keeping to her island roots Emily now lives on Vancouver Island and takes to the ocean at every chance. Her marine training includes Master Limited 60 Ton, Marine Emergency Duties Level 2, Small Vessel Operator Proficiency, Small Vessel Machinery Operator, Restricted Radio Operators Certificate. She is also trained in Wilderness First Aid and is a certified Gwaii Haanas Guide . 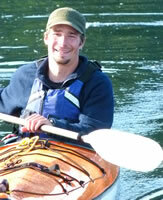 Barrett first arrived on the west coast in 2002 from a background of canoeing and camping in southern Ontario. He took to the ocean quickly and developed a passion for sea kayaking. He became a certified level three kayak guide and instructor with the Association of Canadian Sea Kayak Guides (ACSKG) and traveled by kayak to many remote and wild places on the BC coast. He started working as a deckhand on larger boats in 2006 and worked his way to becoming captain. In 2011 he received the Master Limited 60 Ton certification from Transport Canada. He is also a coxswain with the Masset Coast Guard Auxiliary. Barrett has now been guiding in Gwaii Haanas for six years. He’s paddled both the east and west coast of Moresby Island and has made it a priority to learn the cultural and natural history of the area. He has developed some great friendships with the Watchmen over the years and is grateful for the knowledge they have passed onto him. His winter months are spent living in a cabin on North Beach, working as a carpenter, and surfing whenever he can. From the night that Barrett came up behind us to cheerfully introduced himself on the street in Queen Charlotte City we knew we would be in good hands. His skill in passing on his knowledge in a quiet unassuming manner is wonderful. His friendship with and respect for the Watchmen enabled our village visits to be even more special than they would have been otherwise. His culinary and ship handling skills are impressive equally. All our family felt relaxed throughout with a great sense of camaraderie with him. Getting to know Ainsley was an added bonus as well. Having done a variety of guided and unguided outdoors trips around the world in the past I just wanted to pass on to you how exceptionally good I think Barrett is, I would love to have a chance to travel with him again. Thanks for your help in setting up this trip for our family. I found the trip absolutely fantastic! It exceeded all my expectations. Barrett was the perfect guide. He was competent as a ships captain, respectful and considerate of us, his clients, safety conscious, knowledgeable of his environment, a great cook and obviously well respected by the people we met. We were given ample flexibility to explore on land or water while being carefully kept track of by the use of the walkie talkies. No one was pressured into doing more than they were capable of. No harsh words were spoken. What a pleasant week and what an insight into the life in this very special part of our country. Thanks to you all. It seemed expensive but was worth every penny. Your company has developed a great process which provides real adventure in a safe and practical manner. I was amazed to learn that Barrett is just 29 years old. He is mature beyond his years and skilled in every aspect of hosting a group tour. His calm demeanor and great listening skills created an environment where 3 disparate groups, 2 other couples and myself, got along flawlessly under his guidance and direction. Barrett is likely the best employee I have ever encountered. His handling of the boat, working out of the winds and tides, manner, enthusiasm, work ethic, cooking, genuine ease and friendliness, and care and willingness towards the guests, were non stop and completely committed. Ryan grew up on the West Coast. His early summers were spent on the water, sailing and boating with his family on Gabriola Island. Every winter he follows the whales south to the Sea of Cortez, Mexico, where he is now owner and kayak guide for Baja Kayak Adventure Tours, an eco-tourism company offering multi-day kayak expeditions on the Baja Peninsula. Ryan has a diploma in Tourism, Parks, and Recreation Management. 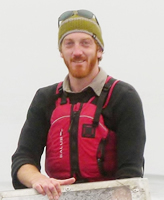 He has spent the last eight years working as a full time kayak guide and is a certified Guide with the Sea Kayak Guides Alliance of BC, and has a 3 star certification with the British Canoe and Kayak Union. He has Transport Canada certification as both “Master Limited 60 Ton” and “Small Vessel Machinery Operator”. This will be Ryan's first summer as captain with us on the M.V. Island Bay in Haida Gwaii. In the off season Ryan is an assistant instructor at Safer Oceans Systems, teaching Transport Canada approved boating and marine training courses. Ryan has crewed on various sailboats, including a 46 foot sailboat "Hokimai" for three months across the Pacific Ocean to French Polynesia. Ryan is also a board member for the Silva Bay Shipyard School, Canada's only full-time wooden boat building school. Ryan spends his free time sailing, hiking, surfing, skiing and playing music.